Discussion in 'Android News' started by DroidModderX, Jan 2, 2017. The NES Classic was one of the most viral gift items for Christmas 2016. It was son popular that you couldn't really find it anywhere. If you were lucky enough to get your hands on one there is one little issue that may be driving you bonkers by now. The controller that comes with the device has a very short cable. In a world where everything is wireless who has time for a short cord? The good news is that there is a fix! 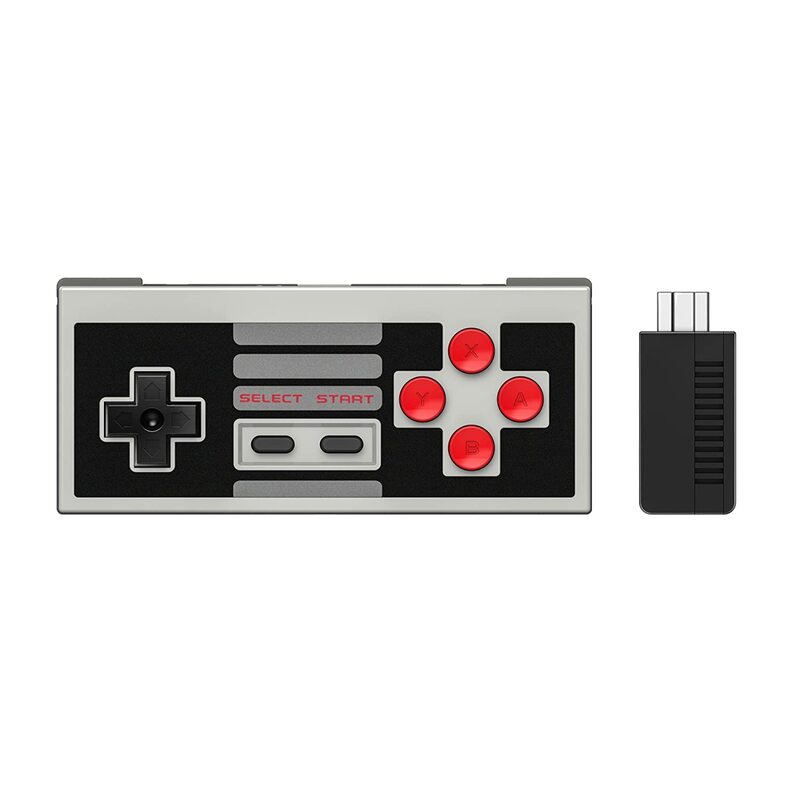 The 8Bitdo brings wireless controlling to the NES Classic. Just plug the receiver into the classic and you can game from the comfort of your sofa with no lag. The controller works as a standard Bluetooth controller and will work with the PS4, PS3, Wii Mote, and Wii U Pro. Grab this from the link below. I wonder if this will work on other devices? The link to amazon won't work for me here at work. Computer seems to block all shortened links. This would be cool to run a NES emulator on my laptop. he controller works as a standard Bluetooth controller and will work with the PS4, PS3, Wii Mote, and Wii U Pro.